I have mentioned before my fondness for peanut butter while hiking. A prepared sarnie or the ‘one serving’ pouches are great favourites. A good calorie boost and plenty of protein. In addition to this, another favourite is fish, particularly tuna. 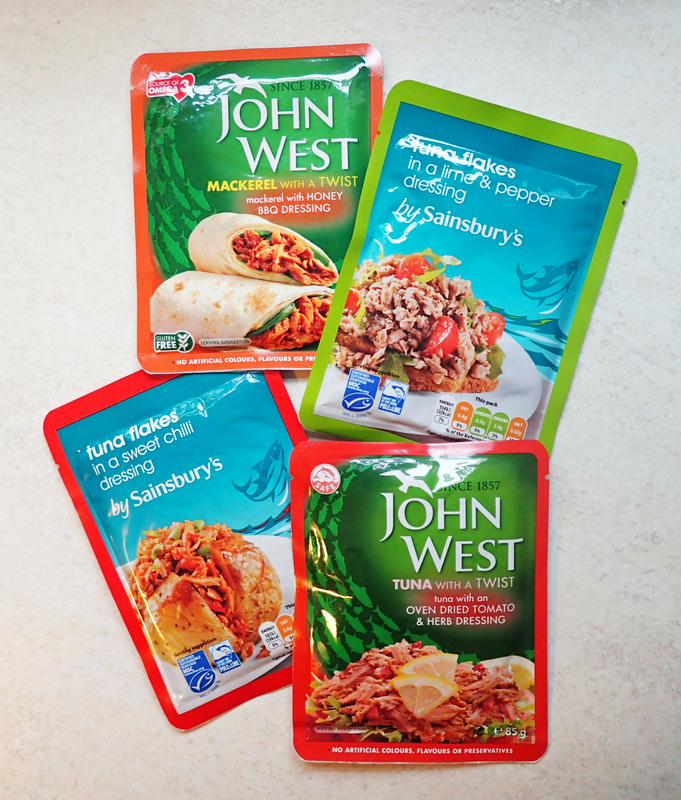 The little 85g pouches of tuna (total weight of pouch 92g) , are a tasty meal, my preferred being those by John West, particularly when eaten with a tortilla. You can get other fish in similar pouches. Mackerel is another I use on occasion. But my favourite is the ‘Tuna with a Twist’ with oven dried tomato & Herb dressing. Whereas many of the products you can find are ‘OK’ as a make-do, I think the tomato and herb variety is actually very tasty indeed. And just think of all that omega-3! These pouches also lend themselves to a more substantial meal. Mix one of these into an instant mash, couscous or stir into mac ‘n’ cheese and it is getting somewhere decent. What you are getting is protein, no carbs to speak of. You need the protein for both your cells and muscle maintenance. 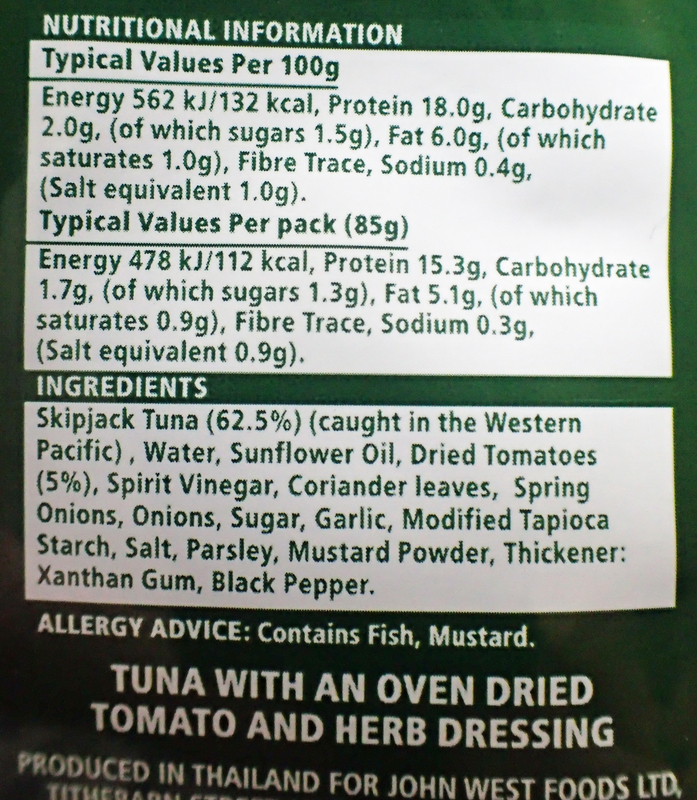 Calorific value is low: an 85g pack (which contains 62.5% of fish) offers up 112 kcal but with a decent 15.3g of protein. You can get very slightly higher values from the Sainsbury’s variant but at the expense of a bit of flavour I believe. 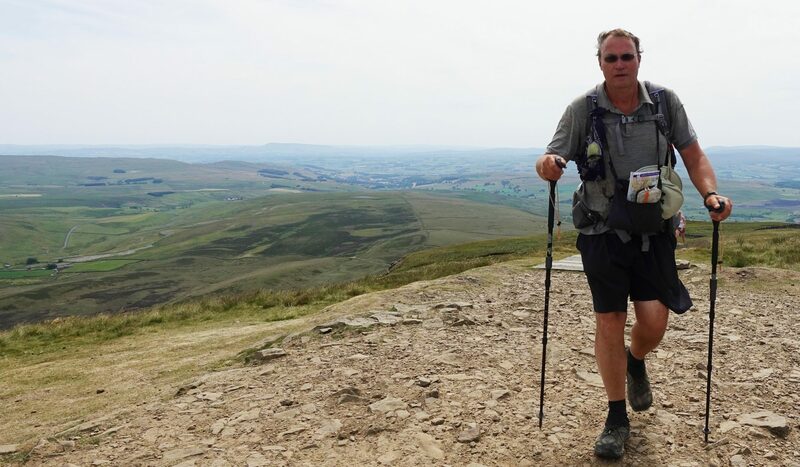 On a hike of a week or two a slight calorie deficit is not going to matter too much, better that it is food you like and will eat. There are obvious concerns as to the prevalence of heavy metals (I shall not cover that justifiable matter here) and certainly the questions as to possible mercury content need to be considered, but perhaps more importantly, the method in which the fish are farmed. John West loudly and proudly declare themselves to be ‘dolphin friendly‘. I shall leave it to you to judge both the safety of your foods and the method in which it is caught, though I would urge you to consider such things. The Pole and line method of fishing is far more preferable than drift nets that sweep all before them; fifty miles of net clearing the seas of everything in their path indiscriminately is not a good thing. 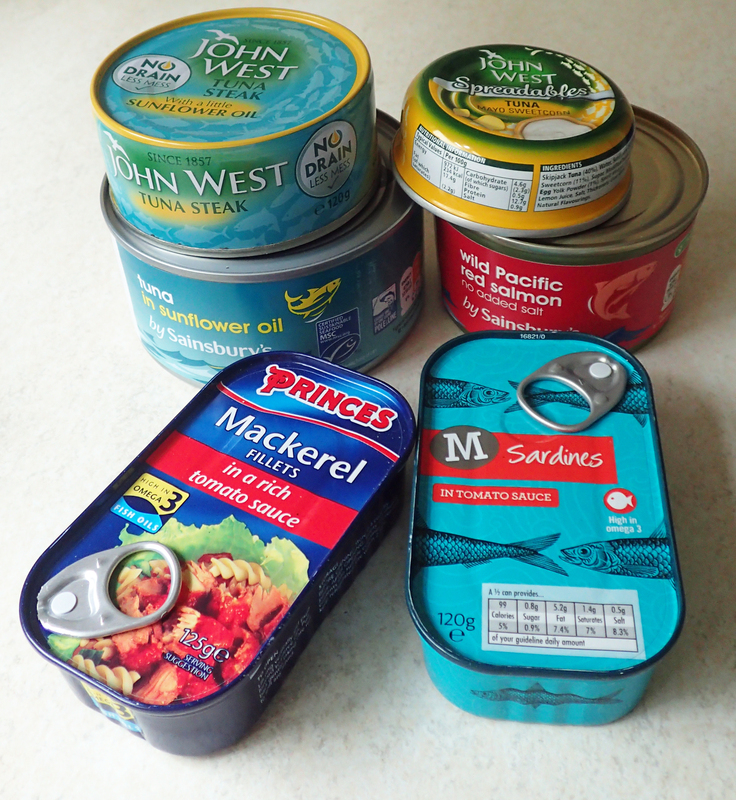 The pouch shown above contains Skipjack Tuna, this is noteworthy in that Dolphins do not normally associate themselves with this species of tuna so should not be caught up in the fishing. If you like fish and you haven’t tried these pouches yet, do. This entry was posted in Uncategorized on October 23, 2015 by Jools.